Bentley has today revealed details of its new Flying Spur Design Series – a new limited edition range created by the brand’s personal commissioning division, Mulliner. 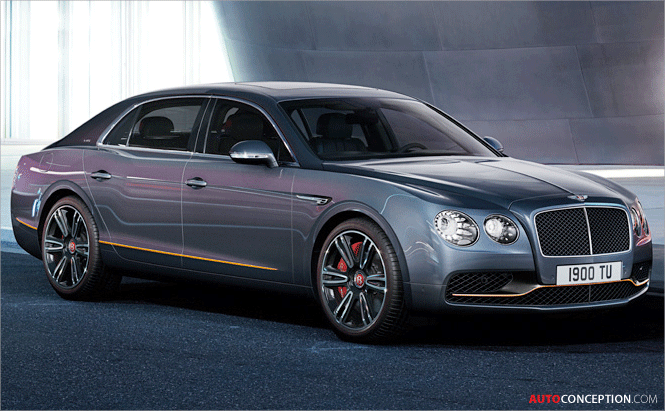 Comprising a selection of five interior and exterior accent colour splits, only 100 examples will be produced. The new series is being made available across the four-car Flying Spur range – V8, W12, V8 S and W12 S.
On the exterior, the Design Series models are marked out by a lower fine line and LED “welcome lamps” that reflect the word ‘Mulliner’ on the ground at night. 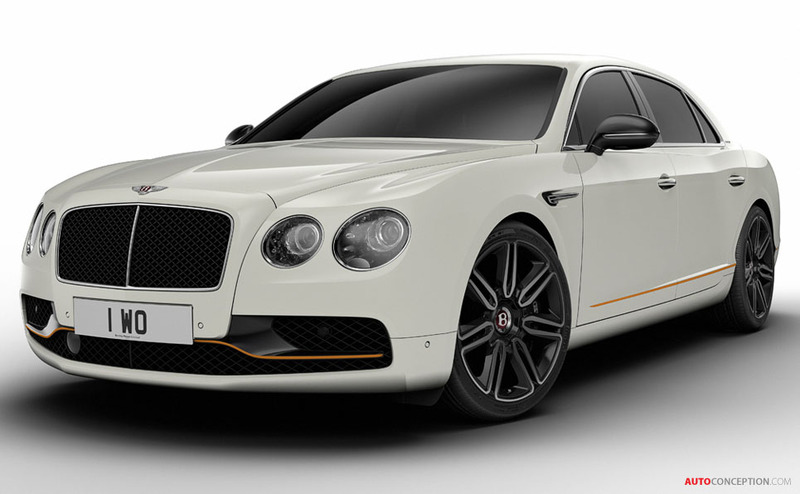 The V8 S and W12 S models also get a revised front-bumper design, with the W12 S further getting black brightware around the headlamps and grille, as well as 21″ wheels painted in gloss black. On the inside, all of the cars get a coloured 12 o’clock stripe on the steering wheel and perforated hide on the leather seats that reveals a secondary colour underneath to echo the colour accents on the outside. And – in what is being claimed to be an automotive first – titanium forms part of the carbon-fibre that features on the waist rails and fascia panel. Previously, this finish is said to have been used exclusively in the aviation industry. 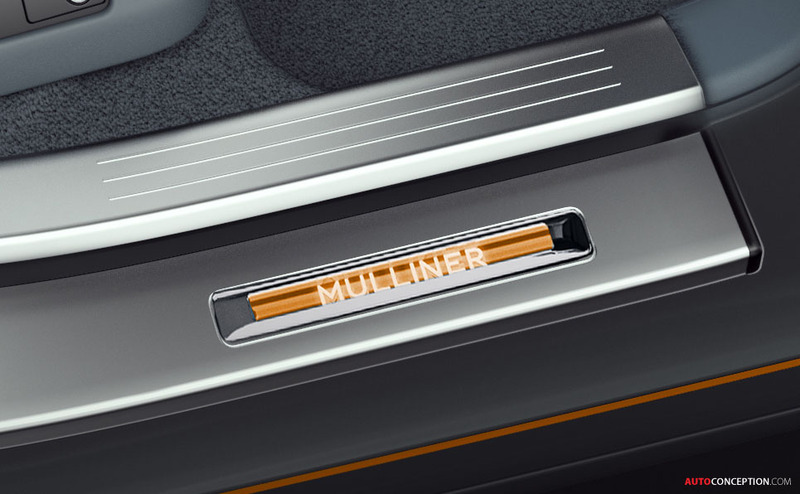 The treadplates, meanwhile, are finished in one of the five accent colours – Mandarin, Pillar Box Red, White, Kingfisher and Azure Purple – and feature a ‘Mulliner’ illumination.